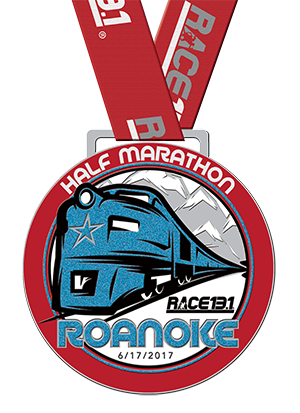 Race 13.1 returns to the Blue Ridge Mountains for the third annual Race 13.1 Roanoke half marathon, 10k and 5k event on June 17, 2017. The race starts and finishes in beautiful downtown Roanoke along the river at Rivers Edge North, and the course will feature stretches of greenway along the picturesque Roanoke River! Situated in the Roanoke Valley to the west of the Blue Ridge Mountains, the city of Roanoke is known as the "Star City of the South" and features the prominent Roanoke Star on Mill Mountain. The Appalachian Trail, the Blue Ridge Parkway and a wine making region are nearby contributing to the city being been named one of the best outdoor towns on the East Coast. The numerous attractions for visitors of all ages and interests will make for a great weekend before and after the race! 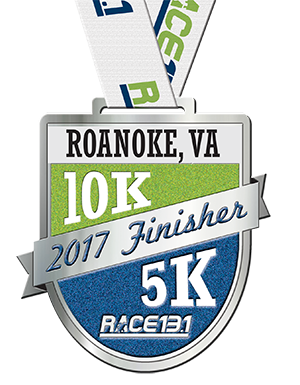 Beautiful course that features stretches of greenway along the picturesque Roanoke River! Plenty of aid stations throughout the course! 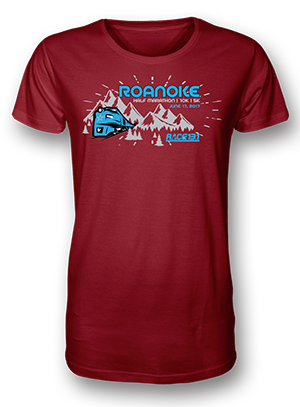 Each racer will receive this race tech t-shirt! We will offer both men’s and women’s size shirts. All participants will also receive access to numerous Event Deals. A link to view and claim the Event Deals will be emailed out prior to the race and can be found on the race page. If you choose to register at packet pick-up on race day, we cannot guarantee a race t-shirt. They will be available to race day registrants on a first come, first serve basis while quantities last. All half marathon finishers will receive this finishers medal! All 5k and 10k finishers will receive this finishers medal! Yes. All participants must complete their race distance by 10:30am. Age group and overall awards for the 5k and 10k will be given at 9am, and half marathon awards will be given at 10am. Runners must be present to receive their prize. We are unable to mail awards after the race. Time standards must be met in the 12 months preceding the race date. Yes, we're excited to offer live tracking with SpotRacer, click here for more details! Refunds will not be issued for any reason. You may change your race distance, and you may also transfer to another race at least 72 hours prior Race Day. Please note: If you do not change your race distance either online or in person with a Race 13.1 staff member prior to the race start, you will be disqualified from the event. Yes! However, you must meet the requirements of the completing the race in 3.5 hours or less (any distance). I am unable to attend the race. Can you mail me my shirt and/or medal? We are unable to mail shirts or medals after the race. You may have someone else pick up your shirt for you if you are unable to attend.